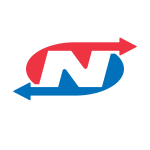 Nationwide Temporaries is currently seeking experienced custodial personnel to fill several Full-Time Supervisory positions with a prominent corporation with more than 270,000 Employees. Only experienced candidates with updated resumes need apply. We provide an exciting work environment, and full benefits for our employees including Dental, Vision, Health, and 401K program with matching contributions! Audit building keys and payroll (Kronos) on a daily basis. When necessary, report accidents immediately. When necessary, properly document employee issues and submit for review. Check emails, at a minimum of once per shift. Apply today with your resume to be contacted by the Recruiter!